It's no surprise in our family to discover that Prosecco has topped champagne as the New Year tipple. We love it! Sons, daughters and their partners love it! My nephews and nieces love it! 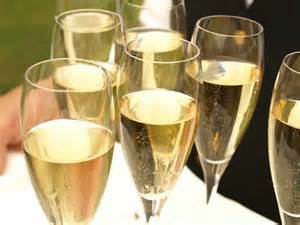 Sales of prosecco shot ahead of champagne as we all rang in the New Year in the UK. 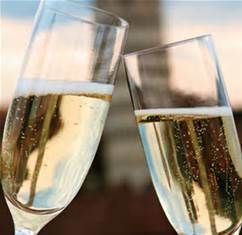 Between 11.30pm on New Year's Eve and 12.30am on January 1st, prosecco accounted for 18% of total drink sales at 800 British pubs, while champagne contributed 17%. The two drinks accounted for 35% of pub drinks, according to food and drink reviewers. However, it was not sustained across the whole evening, as between 5pm on December 31st and 5am on New Year's Day, champagne and prosecco together accounted for just 15% of total UK pub drink sales. Maybe we just wanted to toast in the 2017 in bubbly! Chamapagne and prosecoo can be expensive to drink, particularly when you buy a glass in a bar or restaurant. It's far cheaper to drink at home! But this may well be the reason for the drop off in sales across the counter after ringing in the New Year. And at the end of the day, us Brits love a 'good old pint'. Nevertheless, according to other research, which compared the revenue figures of 380 pubs from 5pm to 5am over the same New Year period last year, found a growth in overall 'bubbly' sales. Newcastle saw the biggest increase with a rise of 11% followed by Brighton which rose by 9%.